There's no extra power under the hood sadly, but the updated transmission gains a couple of gears. Mercedes recently lifted the wraps off the , so it was only a matter of time before the facelifted AMG C63 lineup broke cover. 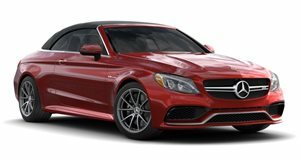 Mercedes-AMG has chosen the New York Auto Show as the venue to unveil the new C63 coupe, sedan, and cabriolet at the New York Auto Show, which have received a subtle makeover resulting in more aggressive styling. Visually, the most obvious change is the new Panamericana grille that’s now standard on Mercedes-AMG models. 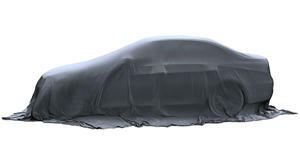 It also gains revised air vents designed to emphasize the width of the vehicle, tweaked wheel arches that improve the aerodynamic efficiency and a new diffuser. Rounding off the visual changes is a new rear apron, sporty side skirts, remodelled twin tailpipes finished in high-gloss chrome, and aerodynamically-optimized AMG light-alloy wheels. Under the hood, the 2019 AMG C63 retains the same twin-turbo 4.0-liter V8 engine as the outgoing model. Power output remains the same, producing 469 horsepower and 479 lb-ft of torque in the C63 and 503 hp and 516 lb-ft of torque in the C63 S.
While there’s sadly no increase in power, the outgoing model’s seven-speed transmission has been replaced with a nine-speed wet-clutch automatic gearbox delivering sharper shifting response. Activate Sport or Sport+ mode, and you’ll also enjoy faster shift times. 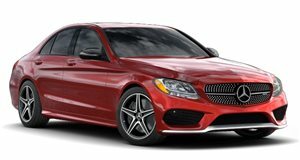 0-62 mph takes 3.9 seconds depending on the model, before the AMG C63 tops out at an electronically limited 180 mph. Thanks to its adjustable, electronically controlled damping system, the AMG Ride Control steel suspension of the C63 provides sporty driving dynamics and comfort on long journeys. The 2019 AMG C63 also has an electronically controlled rear-axle limited-slip differential, which is now standard for C63 models. A new AMG Dynamics system includes six different drive modes, including Slippery, Comfort, Sport, Sport+, Race and Individual. Inside, a new leather-wrapped sport steering wheel includes Touch Control buttons that respond to horizontal and vertical swiping movements like a smartphone. A 12.3-inch fully digital instrument cluster is also now available along with an infotainment system with either a 7- or 10.25-inch display. Two new interior wood grains in grey oak or walnut have also been added to the range of trim options, and the temperature of the heated seats can now be adjusted in three levels. Neck-level Airscarf heating is also optional for the Cabriolet. According to Mercedes, the refreshed AMG C63 models will go on sale early next year, with prices to be announced closer to the sale date.